“YOU could nearly set your holidays on the Leaving Cert weather,” the principal of Limerick Tutorial College John O’Halloran quipped. As more than 5,000 students across the city and county began their State Exams this Wednesday, temperatures soared, reaching up to 24 degrees across Limerick. As English Paper One came to a close, students at Limerick Tutorial College filled the street outside their school in The Crescent. One such student was Martyna Kowalska, who the Limerick Leader met while she was enjoying the summer sun on a well deserved break after finishing up on what turned out to be a “tough but fair” exam. “I thought it was ok,” Ms Kowalska said. “One of the new Leaving Cert questions came up in the comprehensions, something we haven’t done before. Ms Kowalska, who wants to go on to study Biological and Chemical Science in the University of Limerick, is quietly confident for the weeks ahead. “I’m feeling ok because I’ve been studying very hard so hopefully I will be fine over the next few weeks. 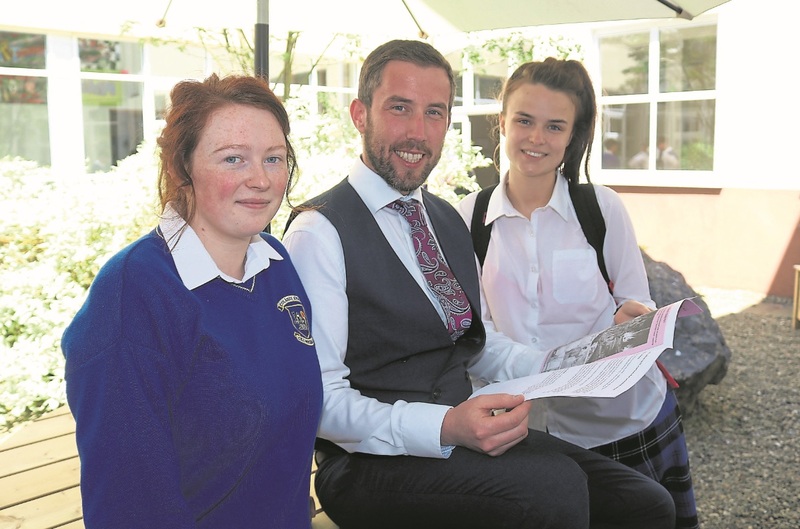 Apart from some nerves on the Wednesday morning, students overall remained calm ahead of the exams, according to Limerick Tutorial principal John O’Halloran. “The majority of students, not only here but all around the place, have worked extremely hard. There was a bit of excitement around the place, waiting to get started and like anything else, once it gets started it will absolutely fly. 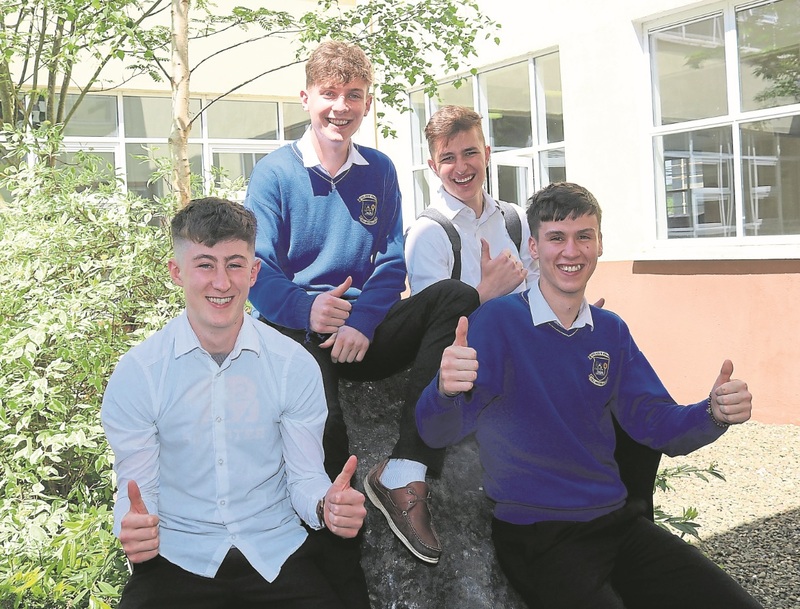 While, stress levels are inclined to get out of hand on the first morning of the State exams, in Kilmallock, principal Noel Kelly hasn’t had to settle many nerves — “they are probably the most relaxed group I’ve come across,” he quipped this Wednesday. Colaiste Iosaef in Kilmallock account for 144 of the cohort sitting Leaving and Junior Cert exams in Limerick. Misha Noonan from Kilmallock was cool as a breeze when she chatted to the Leader in the corridor of the secondary school after emerging from the exam hall at 12.30pm. “It was grand,” said the 18-year-old, nonchalant as you like. “The essay was about the pleasures associated with young people, such as their space. I wrote about freedom and relaxation. I wrote just over three pages,” said Misha. Misha has her sights set on studying PE with biology in DCU with a view to becoming a secondary school teacher. Despite being in the midst of one of the most testing and stressful periods of her young life, Misha admitted she was feeling relatively relaxed. “I have been studying outside in the sun,” she smiled. With 75 Leaving Cert students and 65 Junior Cert students completing the State exams at the county school along with four students doing the Leaving Cert Applied, it’s a busy time for the man in charge, Mr Kelly. “While there was a crazy 15 minutes when they came in this morning, between going to the exam hall and sorting themselves out, by 9.30am they were all settled and ready to start. I think it brings back a lot of memories for us all - memories I’d prefer not to relive again,” Mr Kelly joked. Tutorial principal John O’Halloran said the students have a couple of long days ahead. “The first day is typically a long day between the English in the morning and the Home Economics in the afternoon,” Mr O’Halloran explained. “Then there is Geography and Maths on Friday. You’ve also got Maths and Irish, which is a long-day for a lot of them as well and then you have French and History next Wednesday, which is two long exams. “The second English paper on Thursday afternoon is the longest of the whole lot of the exams, three hours and twenty minutes with a lot to cover, but Geography and Maths on Friday will be the first real long day for pupils around the country. “Every student is different,” he added. “Some students are looking to get the top points, other pupils are trying to pass. “All we want the students to do is their best, regardless of their ability, regardless of points, once they are doing their best and they are coming out of each exam, that’s all they can do at this stage. “We say go in and attack the paper, don’t have any regrets afterwards. Go in and make sure you use your time correctly inside, we go through the timing with them and advise them to write down their timing and stick to it. “We also tell them to get proper sleep, proper rest during the exams, a bit of exercise as well will do them no harm. His advice is echoed by mental health charity Samaritans who are urging Limerick students, parents and teachers to put their well-being ahead of their grades, and look after their mental health this exam season. Exam season can be a stressful time not only for the young person, but for family members, carers and teachers, according to Cindy O’Shea of Samaritans in Ireland. “Samaritans are here 24 hours a day, seven days a week, to offer a listening ear and emotional support,” Ms O’Shea said. Anyone who is feeling overwhelmed because of exam pressure can contact Samaritans for free from any phone on 116 123. This number will not show up on a bill. Alternatively, text 087 2609090, email jo@samaritans.ie or go to www.samaritans.org.